Gina's research role involves the development of a revised research protocol that aims to address shortfalls in the existing process, enable more collaborative outcomes and provide some consistency to researchers embarking on Kimberley coastal and marine research projects. Taking the form of a (draft) guide for researchers and associated forms, it will be made available through supporting Indigenous, university and departmental websites in late 2017. Gina is also developing a learning package around a marine monitoring technique selected by working group members. Suggest participatory methodologies suitable to incorporate the wealth of locally held Indigenous knowledge around the theme. 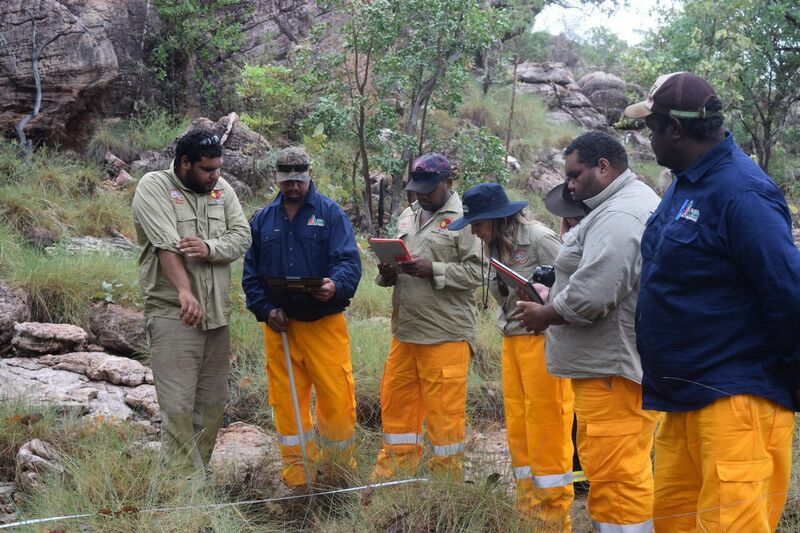 Working closely with project leaders (Dean Mathews of Yawuru, Daniel Oades of Bardi Jawi and Albert Wiggan of Nyul Nyul), Mosaic Environmental provides ongoing project management support to the KISSP group. Gina worked closely with staff from the Carpentaria Land Council Aboriginal Corporation for several months in 2014 in support of their innovative project, Indigenous Fire and Weed Management in the Lower Gulf - Traditional Knowledge and Best Practice. This is a large and multifaceted project which spans across 68,000 square kilometres of the lower Gulf of Carpentaria. Through the project, Indigenous knowledge and best practice fire science complement each other to protect and enhance landscape values, manage land more effectively and reduce greenhouse gas emissions. Moreover it strengthens the long-term capacity of local Indigenous rangers to deliver vital environmental services across vast areas of Queensland and the Northern Territory. It is funded by the Australian Government Biodiversity Fund's Northern Australian Targeted Investment 2013-14. Gina's role focused on supporting the Gangalidda and Garawa Indigenous Ranger groups in their fire management practices. which always produces an outstanding result. She has excellent knowledge of fire management and ecology. I highly recommend her for any ecology related work.